Mego did a fair bit of recycling from Action Jackson to the planet of the apes line, from the M16's to the Astronauts entire wardrobe. The Action Stallion however is one bit of recycling that made a terrible amount of sense. 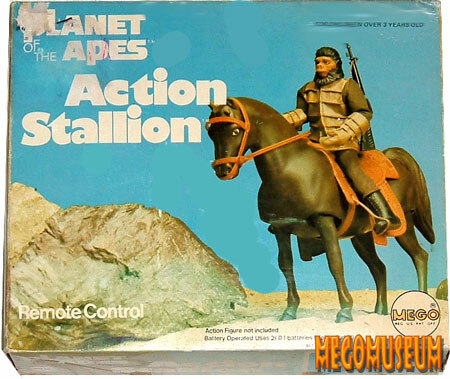 Horses played such a major role in the series that this piece is essential to a Mego Planet of the Apes collection. 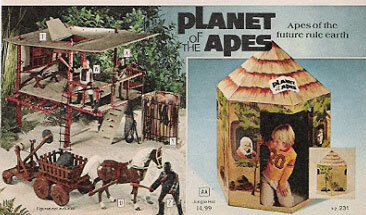 Note that the front of the box features a prototype Mego Soldier Ape. 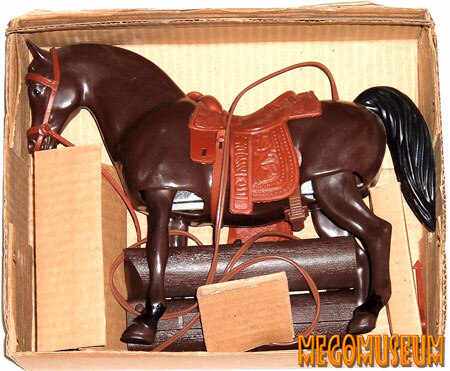 The Action Stallion from the 1975 Sears Catalog, for more on this check out the Mego Christmas Catalog Section of the Museum.